While Donald Trump, the GOP Establishment, and the media scramble to undermine Ted Cruz’s march to the White House, Cruz’s super-fantastic-third-place finish in New Hampshire suggests undecided voters are recognizing that dignity, integrity, and fearlessness are at the core of Ted Cruz’s principles and leadership. In fact, the media, Donald Trump, and even Dr. Carson have done a great job burying the reality that caucuses are set up to give supporters the opportunity to persuade one another to get behind the candidate they support. Hence, the Cruz campaign’s directive to share CNN’s report. After each candidate's supporters make their cases, everyone lines up and the supporters are counted up in front of God and everyone else who is attending. There is no privacy to the voting. Consequently, the real “dirty trick” is pretending that Carson’s supporters were not immediately able to shoot down CNN’s report along with the Cruz campaign’s bogus conclusion about what it suggested. It’s not like Carson supporters don’t have smart phones. The entire controversy that Carson’s performance might have been negatively affected is an absolute hoax. It is a “dirty trick” that is clearly being used to torpedo the proven Washington outsider, Ted Cruz. Granted, Dr. Carson probably felt a lot like Ted Cruz did when Donald Trump tried to “steal” votes from Cruz by erroneously speculating that Cruz was not eligible to become president. Carson also probably felt a lot like Ted Cruz did when Marco Rubio tried to “steal” votes from Cruz by falsely alleging that Cruz is a fellow GOP amnesty lover -- just like Rubio still is. However, unlike Donald Trump and Marco Rubio, Ted Cruz had the common decency to apologize and the integrity and courage to take responsibility for his staff member’s erroneous conclusion concerning CNN’s report. The flawed speculation might have genuinely hurt Dr. Carson’s feelings, but there is zero evidence that it impacted his Iowa results. If it did, where are all these potential Carson supporters who jumped ship as a result of the Cruz staff’s stupid decision to use anything the flaming liberals at CNN report? On the other hand, Donald Trump’s “dirty trick” of smearing Carson's character as a liar and a lunatic earlier in the campaign definitely seemed to “steal” votes away from Dr. Carson before the Iowa Caucus and the New Hampshire primary where Carson finished with a dismal 2.3 percent. Unlike other politicians, Ted Cruz held himself accountable for his staff’s bad move. More impressively, he refused to make a staff member the scapegoat. Cruz offered his explanation for his campaign’s involvement and then he personally shouldered the damaging controversy that continues to nag him. Nevertheless, he hasn’t tried to weasel out of it by throwing a staff member under the bus. After Iowa, Dr. Carson insinuated that Cruz is a “false prophet” and suggested that Cruz was condoning what happened by not sacrificing the staff member who made the decision. Cruz has chosen not to return fire. However, if I were Cruz, I would have noted that Jesus Christ paid the price for Carson’s sins, as well as for all sinners. Taking the negative consequences for a staff member’s blunder is more Christ-like than complaining about tactical errors made during the heat of battle. 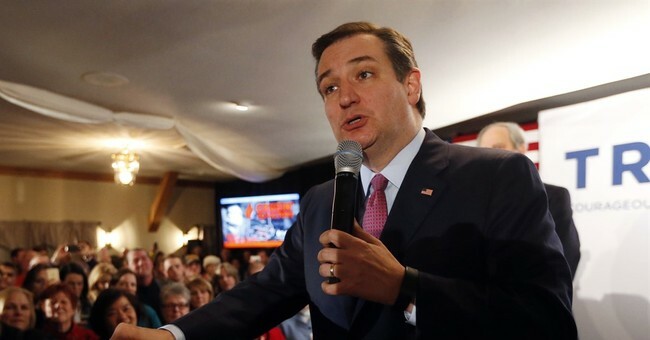 Loyalty and courage are hallmarks of Cruz’s character. He has apparently always been willing to suffer the consequences for others. As a high school senior, Cruz refused to reveal the names of his friends who helped him toilet paper and shaving cream a rival high school. Cruz’s principal threatened to recommend that Princeton rescind Cruz’s admission, but Cruz was willing to pay that serious price alone. As it turned out, the principal already knew who the friends were. While Cruz continues to endure the “dirty tricks” his opponents, the media, and the Washington Cartel are employing to knock him off his path to the presidency, Cruz complains very little and just keeps fighting by focusing on the issues facing our country. Cruz has apologized to Dr. Carson privately and publicly. Based on Cruz’s dazzling third-place in New Hampshire, the anyone-but-Cruz crowd is painfully realizing that he doesn’t have the moniker “TrusTed" for nothing.